Spinach, like lettuce, is a cool-season crop that develops seeds and loses quality as soon as the days lengthen and temperatures rise. Sow it in early spring for a spring crop, or in late summer for a fall crop. Grow spinach well into winter with a little protection, such as floating row covers or hoop tunnels. Harvest spinach plants several times, allowing the plant to regenerate, or all at once. To extend the harvest, save the small leaves when you thin spinach rows for use in salads. Thin the rows to 6 inches between each plant when the spinach stands 3 inches high. As the plants grow, remove the outer leaves, but leave the interior leaves to grow. Make a final harvest by cutting the plants back to the ground before the plant produces seed heads, which reduce quality. Many gardeners prefer the tender, small leaves of young plants for salads, but if you want larger leaves for cooking or freezing, wait to harvest the spinach until it stands 6 to 8 inches high. Cut it off at the base of the plant. 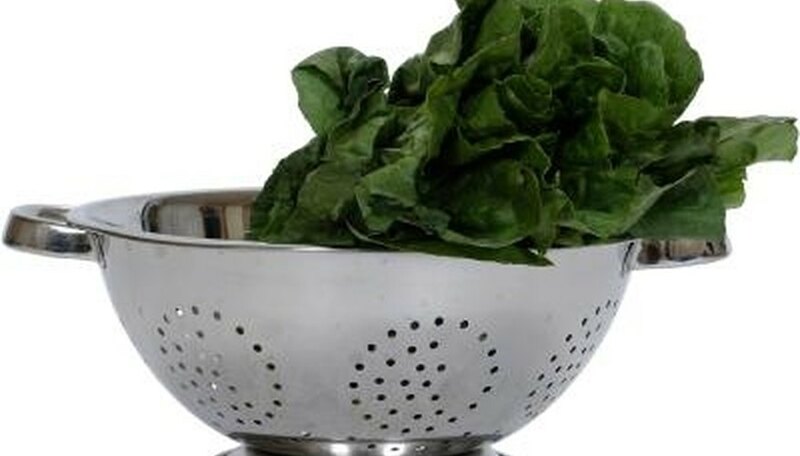 Rinse the spinach thoroughly, especially if you grow the crinkly type, because dirt and sand tends to collect in the leaves and can cause a gritty texture. Smooth-leaved types are easier to clean. Plant spinach in the spring as soon as the soil can be worked for a quick, plentiful harvest. Place it in full sun or partial shade, in light, rich soil. Like most leaf crops, spinach benefits from nitrogen. Fertilize the plants with a balanced 10-10-10 fertilizer. Keep the ground evenly moist for tender plants and a sweet flavor. Plant spinach every two to three weeks to extend the harvest into summer, especially if you choose to harvest spinach plants all at once rather than allowing for multiple harvests. Quality diminishes as summer arrives. Plant late-spring crops in partial shade to extend the season and improve quality. University of Illinois Extension; Spinach; Ron Wolford, et al. Which Vegetables Are the Best to Plant in the Fall?